When we look from the broadest possible perspective, everything in reality put together is a singular structure. From the smallest atom to the largest galaxy, each entity is part of a larger whole. Although we divide reality up into tiny slices in our mind and these sometimes arbitrary divisions can be useful, they can have a downside – they can obscure our view of how parts are connected to a greater whole. While it is advantageous to see a difference between “self” and “other” when it comes to many things, it can also be damaging depending on the context in which it is applied. Imagine removing your heart from your chest in order to help it assert its “individuality”. We know the heart can only realize its value in the context of the community of organs in which it exists – each sharing something of nourishing value with all the other in the context of community. While this example is easy to see, we make the mistake of fragmenting ourselves on a civilization wide scale. We use both verbal and literal knives to hack apart our own body for the sake of establishing an “us” and a “them”. We see examples of this in families, business and government scales. We also see this between our species and the rest of the larger body of life in which we exist and on which we depend for life. When we fail to collectively establish the social structures that provide an environment to cultivate each “individual’s” full potential we wound and starve our own experience of life. In other words; when we treat each other as “us” and “them” without simultaneously recognizing our connectedness, we are actually reducing the capacity of our collective experience of life to rise to its full potential. It is true that the lungs and the kidneys have different identities and functions, but at the same time they both have a unified purpose toward nourishing the larger body in which they exist. When we appropriately recognize ourselves as individuals within a greater whole we can then clearly see things that enrich our experience that would otherwise be in the shadows. For starters, it makes working toward and celebrating the success of “others” a valid and valuable pursuit that enriches our own life. This is the same as the organ doing something of nourishing value in the context of the body in which it exists. In fact; this is not only what our biology depends on for life, it is a three dimensional living breathing statement about who we are and what fulfills us. To rebel against this in any way diminishes our experience of life. Imagine a world where we knew that cultivating nourishing relationships between us was not only the basis for life, but the only means of fulfillment because it is who we are. Imagine a world where we saw an individual or culture poisoned with destructive behavior as needing healing and nourishment for wounds and starvation and not needing retribution and punishment for crimes and misdemeanors. While we cannot get from where we are to where we could be without recognizing the reality that there are real wounds in our collective psyche, this doesn’t mean we can’t begin to move in the direction. We can look for opportunities within our individual spheres of influence to move in that direction and in so doing realize the satisfaction that comes from being more aligned with who and what we are meant to be – a unified whole. We see only a small portion of the whole picture. People with cotard disorder (the belief that one is dead) or mirror agnosia (the belief that it is not one’s own reflection in the mirror) are not persuaded by what most of us would consider sound reason. If someone with cotard disorder is challenged with the fact their bladder feels full to contest the delusional belief, they respond with a verbal defense such as “that just proves dead people’s bladders get full”. People affected by such things as cotard disorder and mirror agnosia are not lying. In fact, they are quite sincere in their denial of reality based facts. We all know people that weave their perceptions into words that are not necessarily connected to reality, what we may not be aware of is just how common this practice is. In order to get a better look at ourselves we need to make sure we don’t confuse sincerity with accuracy. Although we tend to believe what our senses are capable of projecting, perception can be distorted by any number of factors from biological to ideological, so sincerity is no guarantee of accuracy. If we see through a distorted or broken lens, that view appears real to us even if it doesn’t agree with reality. We might try to prop up the confidence we have in an accurate bead on reality by thinking that physical damage or chemical imbalances in the brains of these “other” people are the cause of all delusional thinking, but evidence suggests the contrary. What we would call “normal” people with undamaged physiologies hold beliefs that not only test the bounds, but outright contradict reality. Many things beyond mere physical damage can shape what we are tuned to see. Our perception is powerfully influenced by local environmental factors such as our genetics, epigenetics, family, relational circumstances that happen at critical periods in our lives, local climate and so on. In addition, our senses are limited by nature. Our visual senses are not equipped to process the full spectrum of light into an image. 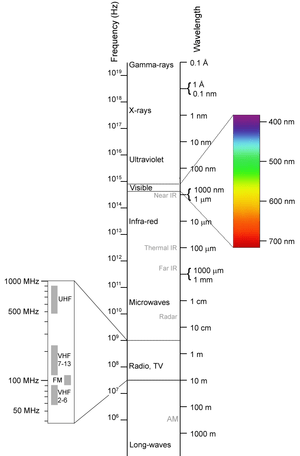 Beyond visible light there is radio, microwave, infrared, ultraviolet, X-rays and gamma rays. The point is that the portion of reality we see is small by comparison to the whole spectrum in many ways. Another example is the information pipeline we receive from our social environment is often a convoluted mess communicated with imprecise words. The fact that our senses have a limited capacity to translate the whole picture coupled with the fact that we share those distortions with each other makes it difficult to sort fact from crap. In his book “The Folly of Fools: The Logic of Deceit and Self-Deception in Human Life” by Robert Trivers, outlines the fact that prosecutors confronted with DNA evidence based on current science still believe the people they convicted before these methods were available are still guilty. Once established, we tend to defend our beliefs by discounting conflicting evidence and overweighting confirming evidence. This tendency is no different than the person with cotard disorder stating that dead people’s bladders get full. It is also why the mindsets and relationship dynamics that are prevail during our childhood so powerfully affect most our world view and experience throughout life. With all of this in view it seems the most certain thing we can rest on is an element of uncertainty. Cotard disorder is a delusion where the individual negates themselves in some biological way. This may involve the belief that they are dead, or that they’ve lost their internal organs or they are immortal. Some with Cotard’s syndrome have the notion that they are possessed or that other people’s identities are false. It is named after neurologist, Jules Cotard who described it as the “délire des négations”. This tendency to hold beliefs by discounting some evidence while inflating other evidence is sometimes called confirmation bias. Our individual state of awareness emerges from an inky darkness. From unawareness we rise on a wave of ideas to forge this nebulous thing we call “I”. As awareness dawns and begins to question, some of us attempt to look back into the dark from which we came – straining to understand that which now rumbles and churns beneath the thinnest verbal veil we so tightly wrap ourselves in. 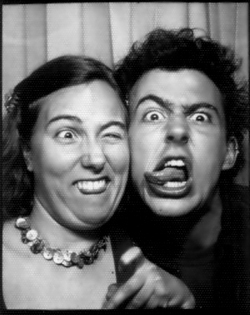 We feign to have emerged from this now treacherous dark to a glorious and permanent light by virtue of our verbal lightning. We smear the opaque mud of imagination on the walls of our delusional shelter by conjuring it from nothing with magic spells named “me”, “myself” and “I”… We construct our fortress with symbolic bricks built on a foundation of vapory abstractions– and use this collective illusion to lay claim to the sanctity of our mystic vision of “I am” with furious passion. We summon the fiercest of combat postures toward anyone or thing, real or imagined, that dares whisper a challenge to our impenetrable house of abstractions. Any hint that might lay bare the vaporous foundations on which the conflicted monuments of our unprincipled principles stand is cause for a fury of verbal spells to buttress our sacred identity. 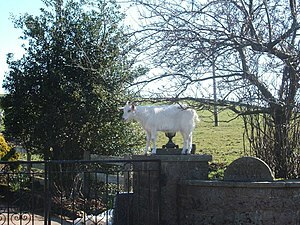 A mountain goat deluded to believe it is a monument at the gate. Rather than face this perhaps unbearable truth – that out of nothing we created us and paradoxically we both are and are not what we believe we are, we instead harvest the notion that we are solid and separate through a delusional act of harpooning the turbulent darkness of cosmic air to form an imaginary wall that separates the dark from the light, the self from the “other”. “Let there be light”, we say, and there is light riding on the winds of our words. If we catch a shadowy glimpse of our impossibly true place – that which is at once no place, and every place – a recognition that we are droplet in an endless sea, and an endless sea in a droplet – if we come face to face with our opaque hold on being, we quickly repulse it with a torrent of comforting verbal spears strategically labeled to reestablish the bonds that falsely define the “I” of the storm… and we remain locked in this fight with fist and feet, apathy and passion, riding the verbal thermals that hold us aloft until we dissolve again into the darkness of the cosmic winds from whence we came and from which… we never really departed. If we begin to more closely examine the parts of our “self” specifically involved with wrapping things in verbal packaging we can see that it is not as clear cut as we might like to think. While it’s true that certain areas of the brain have a lot to do with language processing and verbal memory, this is actually a very tiny portion of the overall community of relationships that compose our total “self”. We remember and think many things non-verbally, so our verbal notion of our self can be in conflict with, be controlled by, and even be completely unaware of many of these other selves. There are two important things to consider about our reliance on words as the tool understand our sense of “self”. The first is that words can be inadequate. Sometimes they simply cannot neatly wrap up what’s going on with the bubbling cauldron of electrochemical relationships in space-time that is our biological body. No matter how rich our vocabulary might be, sometimes we just can’t package our self in abstract bubble wrap. This fact also has many other consequences when consider our attempts to share ourselves with each other and build relationships. Being misunderstood because we lack the words to accurately present ourselves is just part of the problem. We can lack a shared language or communication can be diminished through fuzzy subtleties that emerge out of context and semantics. We can also be mischaracterized deliberately or sincerely even if we accurately describe our self with words. There is both a sender and a receiver involved in any relationship and there is no guarantee that the process of communication is clean and accurate. This brings us to the second important point to remember about our sense of self: We have many selves within is. Much of who we are is a community of selves that are non-verbal – complete with non-verbal thoughts, senses of identity, decision making capabilities and so on. These various non-verbal entities within us are also not necessarily communicating clearly with each other much less telegraphing an accurate picture of our total self to that miniscule part of brain real estate involved in verbal awareness. The same possibility of communication breakdown of many varieties that we have between each other also happens between the various aspects of our internal selves. To better understand the nature of the community of relationships that we feebly attempt to wrap in words, we can look at the relationship between two aspects of ourselves: Our gut and our brain. All of us have some sense of what we typically call a “gut feeling”, but what we may not know is that there is a whole other “self” going on in there. Our gut happens to have its own brain and thought processes, language, capability for behavioral expression, habits and so on. The gut brain is about the size of a cat brain and is connected to our other brain through a large nerve. We might think that our brain controls the stomach. It would be more accurate to see the relationship between the stomach and the brain the same as the relationship between a president and a parliament. The gut brain often makes decisions that sometimes the rest of our selves just follow along with. More than handling digestion or blurting out a nervous pang now and then, our gut brain frequently determines to a large measure our mental state of being. The brain in our head communicates much less with the gut brain than the other way around. The gut brain is in fact a chatty little person living inside of us. Like any relationship, violent disagreements with the rest of “us” can result in chaos. Such things as spastic colon, depression and even bone disease have been linked to the nature of the relationship between out gut and the rest of us. In fact; the manifestation of many diseases depends on how well or poorly all of our different selves both communicate and get along with each other. It might be a little unsettling to know that what we consider our “self” is actually a vast set of relationships between many selves that we actually attempt to more or less capture in a single verbal pinpoint. It’s a lot like trying to grab the air in our fist. Our verbal state of awareness may be a wordy illusion imposed on a vast community of relationships with different interests and ideas all competing for a voice, with power shifts moving over time and climatic cultural shifts, migrations and so on much or all of which is outside our verbal net. Welcome to the wide world of parliamentary politics that is our self. Complete with factions and wars, convenient arrangements, betrayals, coalitions, intimate friendships and so on. 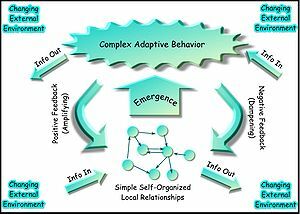 Our verbal state of awareness can be compared to what we might call a national identity or a broad culture composed of many individuals with complex problems and issues on multiple fronts, strengths and weaknesses and so on. In fact our broader social structures can be seen as a reflection the biological functions going on inside us. This should perhaps come as no surprise. It should also come as no surprise that the better we are able to understand and harmonize our multicultural internal relationships, the better equipped we are to deal with the issues that we face on larger fronts including nationally, internationally and globally. Called the enteric nervous system. What Does Our Biology Say About Fulfilling Relationships? As biological creatures we depend on specific kinds of nourishment in order to realize full maturity. One of the big take away points from this fact about ourselves is that we depend on specific and nourishing relationships in order to realize our fullest state of satisfaction. If the relationship process our biology depends on is not diminished or interrupted, we move from a state of dependency to interdependence. Upon maturity, we become a valuable part of a community that we both provide nourishment for, and from which we receive nourishment. If we use the relationships that define healthy biological systems as a lens to understand ourselves, we expose some interesting facts about relationships in general. It is no mystery that there are no selfish people who are also satisfied. Think about it. Do you know anyone with both of those characteristics? The reason selfishness and satisfaction cannot coexist is because our biology is not built on that relationship principle. If we shoehorn our life into that box we become impoverished, no matter how much material wealth we might acquire in the process. Think about what biology says about giving. Newborns are not produced unless both males and females contribute to the process. This need for mutual giving as part of what brings more life is a plain statement about what brings life to relationships in general. Real fulfillment in relationships is built on giving to each other. Nutrients must flow throughout the body in order for it to be healthy. In the broadest sense we can see all disease is a deficiency or breakdown in this flow. Using this same biological lens we can begin to see how social ills emerge in interpersonal and community relationships. Too much or too little of anything is harmful, even water. This is another critical point about relationships. Organs in our body must both be nourished, and give nourishment to the rest of the body. Lopsided relationships, including community structures where wealth is lavishly condensed in a narrow group and lack is the norm for others is the same as fattening the heart while starving the kidneys. These are just a few of the lessons speaking through our biology about fulfilling relationships. Please share your ideas! Happiness can be a behavioral choice rather than a mere occurrence. Research has shown that carrying out the physical activity of smiling will actually trigger the hormones and so on in our bodies that are associated with happiness. In other words; if we smile, we become more inclined to be happy. We sometimes go about our lives as if things happen to us rather than realizing the full extent of our power to control what happens – especially when it comes to our disposition. This information is extremely important for those of us who want to understand what it really takes to live an intentional life. Developing the discipline to choose our behaviors is the most powerful tool we have to forge our own internal reality – one that we have a measure of influence over rather than one that is controlled by external circumstance alone. It can be very tough and counter-intuitive to think that we will improve our lives if we behave as we would “want to be” instead of “how we are”. We often feel such things as not caring, or anger and we behave according to these feelings – as if our emotions determine behaviors. What we often ignore is the power of behaviors to control emotions. If we smile long enough, we will be more inclined to be happy. If we discipline ourselves to behave as if relationships matter, and that we care, the hormonal cocktail that shapes our experience of life will actually begin to align around these behaviors. This is not to imply that the effects of existing habits are not a powerful force. Repeated behaviors develop their own mass and momentum to be sure. We have to recognize that this emotion followed by behavior cycle can be a self-reinforcing feedback loop. This is why it is important to recognize that making behavioral choices despite our current emotions can have the effect of putting us in the driver’s seat, rather than a spectator in our own lives – otherwise we are destined to be a slave to habits which color our lives in ways we would not choose. The point is we can forge a more intentional self out of the currents of existing habit. “Facial Efference and the Experience of Emotion” by Pamela K. Adelmann and Robert B. Zajonc.